I wonder if anyone has it today? Restored 35mm slide. Can you locate the spot on Google Earth? Streetview shows quite a lot of the Expo area - so wondering if the plaza still exists and can be viewed. 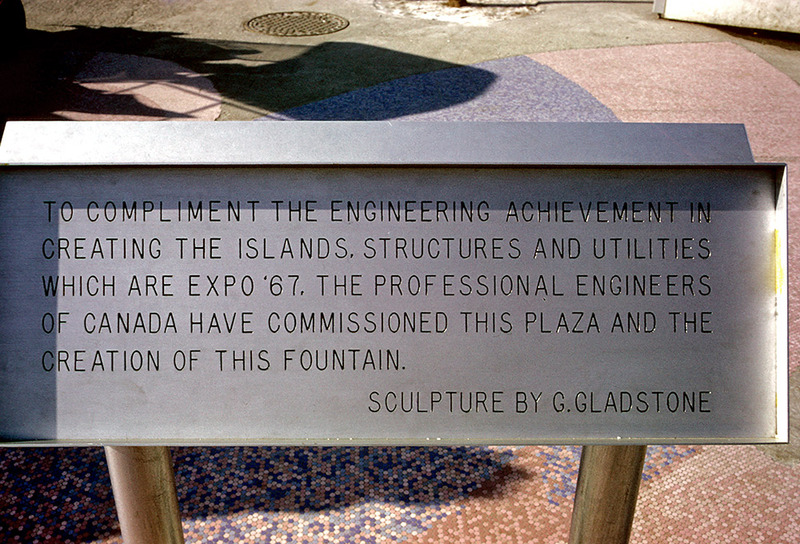 Where was Engineer's Plaza located? Is that plaque still there today? What was the fountain?